7th/Jr/Sr Boys Basketball plays Trumann tonight at Home beginning at 5:00. 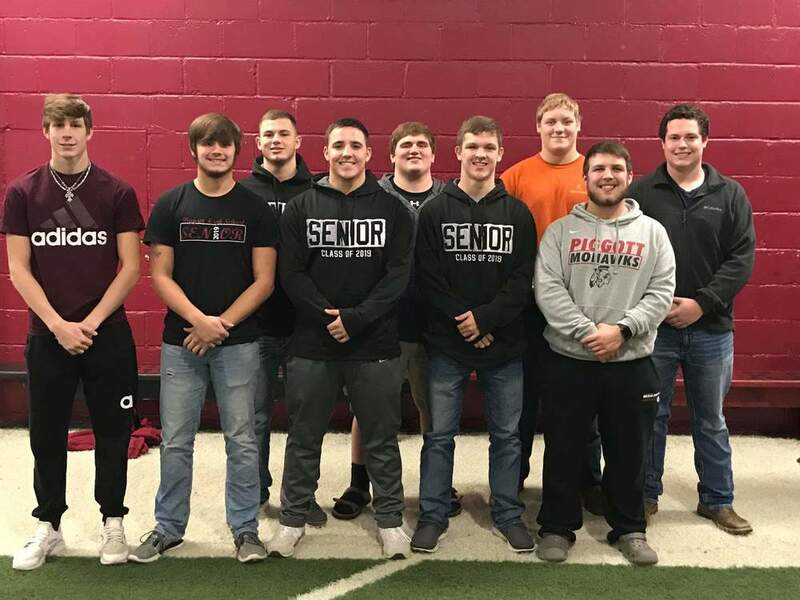 Congratulations to the following Mohawk Football players who earned awards for their performances during the 2018-19 Football season. Kyson Conley, Dylan Bellers, Luke Carpenter, Gunner Shaw, Luke Boyd, Dalton James, Sky Wright, Matthew Bowers, and Trey Gossett. Any Senior High FBLA member who can work at Christmas Fest this Saturday should sign up in Mrs. Peters room no later than Thursday. FBLA Senior High and Middle Level members should bring 2 items to donate to the Arkansas Children's Hospital by Tuesday, December 11 if you want to attend this year's FBLA Christmas party. All members should see Mrs. Peters to pick up a list of donation items and Christmas party details.